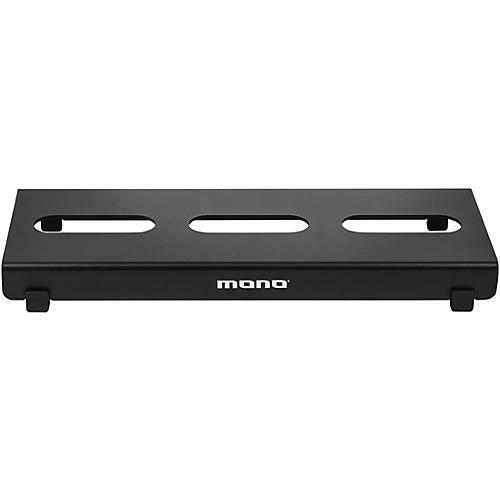 Each MONO pedalboard is cut from a single piece of anodized aluminum, giving it a tough but incredibly light form factor that feels streamlined and elegant. The cut-outs on the face of each board accommodate every possible cable-wrapping configuration, allowing for the maximum variety of pedal layouts. On the bottom, rubber feet add stability and shock absorption, while the flat profile is designed for easy reach on a smaller board. This Lite model board measures 14 x 5.7 x 1.5 in., and weighs just 1.01 lb. for easy transport between gigs. Dimensions: 14 x 5.7 x 1.5 in.